Amongst the rainfall and sunny spells the first week of summer has come to an end! We’re celebrating the return of summer this with this simple and super sippable summer cocktail.. read on for more! In a small saucepan, bring the blackberries, water and sugar to a boil. Turn the heat to a lower settings and let the boil simmer for 10 minutes. Remove the saucepan from the heat, strain the blackberries and let syrup cool. Add 2 tablespoons of syrup to the bottom of each champagne glass. Top with champagne and add in a sprig of thyme and 2 blackberries for garnish. 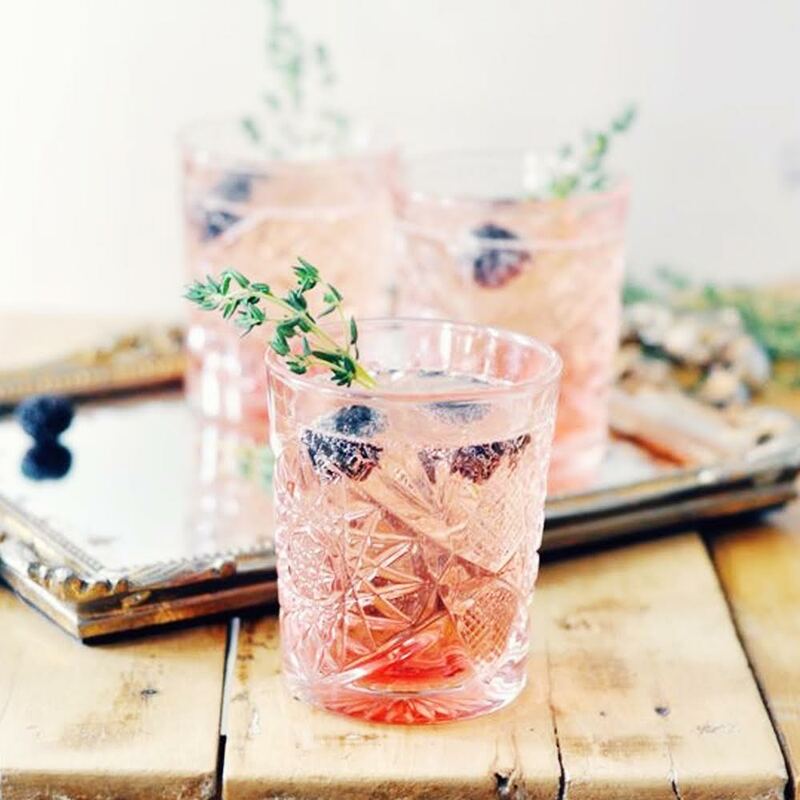 This Blackberry & Thyme Champagne Cocktail looks proper posh, tastes out of this world and is a Monday must have! For more recipes and cocktail inspirations, check out our Pinterest page..